Lex de Azevedo is a well-known composer, pianist, producer, arranger, and conductor. He is a member of The Church of Jesus Christ of Latter-day Saints, the Mormon Church. During the 1960's de Azevedo produced a number of albums for Capitol Records, two achieving Gold Records. De Azevedo co-wrote the Mormon musical Saturday's Warrior (with Doug Stewart). He composed five Broadway-style musicals and has scored many episodes of Bible Stories and American Hero Classics, as well as hundreds of commercials. During his career, Lex has composed over 40 choral works and produced over 160 jingle packages for radio stations all over the United States. 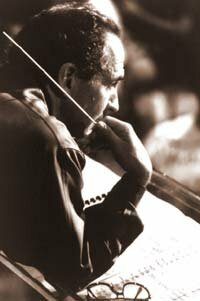 De Azevedo composed an oratorio called Gloria:The Life of Christ, which was performed first at the Tower of David in the Old City of Jerusalem in 2000, sung by his "Millennium Choir," which included both American and Israeli singers. Gloria was to be performed by a new Millennium Choir at the lighting of the Christmas lights on Temple Square in 2011, in the Salt Lake Tabernacle. De Azevedo invited concert choir singers of all faiths from all over the world to join the choir for this event. For those unable to attend, De Azevedo created a virtual choir. He made the music available online for the singers to learn at home, and then had them record their performance to be edited into a sound and video display at the event. Lex has been president of Embryo Records, Director of Artists & Repetoire for the Bonneville Broadcasting System and Currently works with his daughters, Emilie and Rachel as the President of Two Little Hands Productions and producer/composer of the hit Public Television series, Signing Time, which began airing on PBS stations in January ‘06. His daughter Julie is also a successful singer. This page was last edited on 8 February 2019, at 18:13.